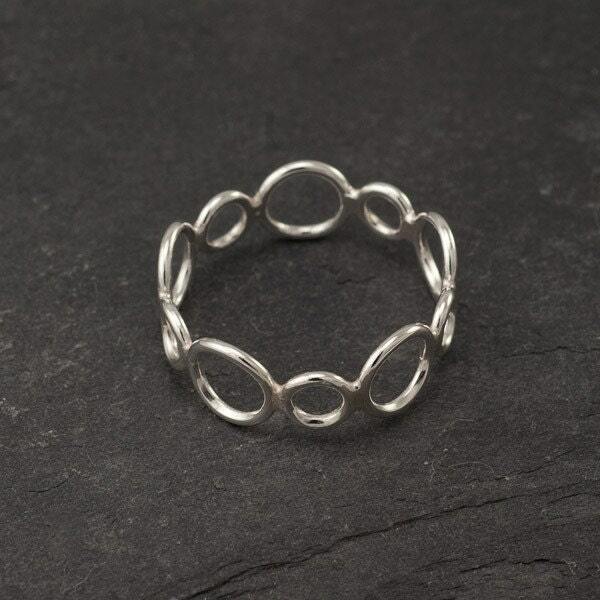 This argentium sterling silver ring band was created by uniting various circles in one continuous line. 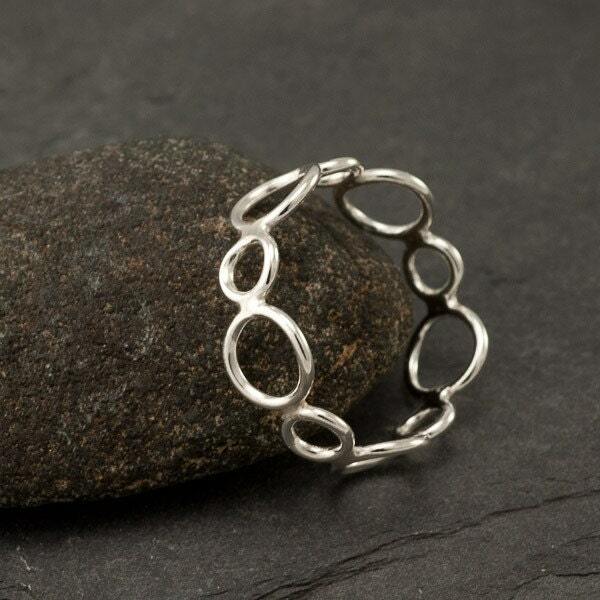 The circles comfortably wrap around the finger making this your new favorite ring to wear everyday! 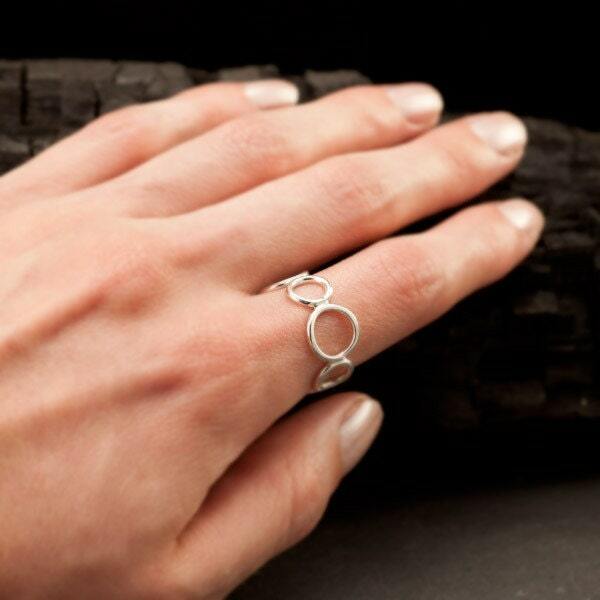 This ring goes perfectly with the Circle Cluster set. 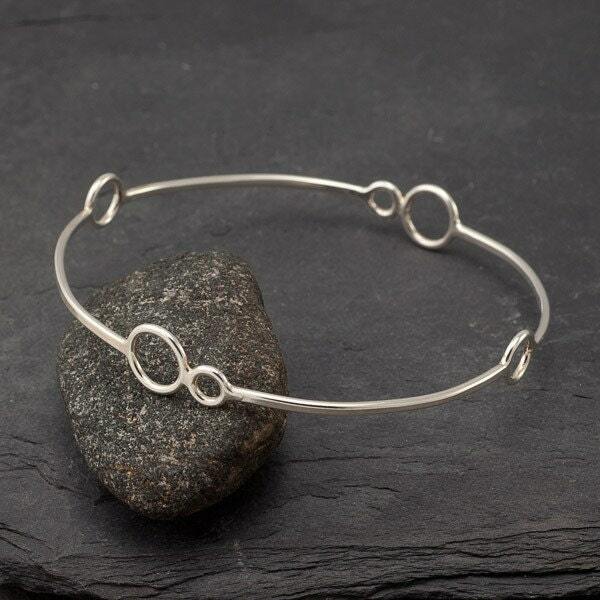 Artulia Jewelry has some of the most unique pieces I have seen in a long time! 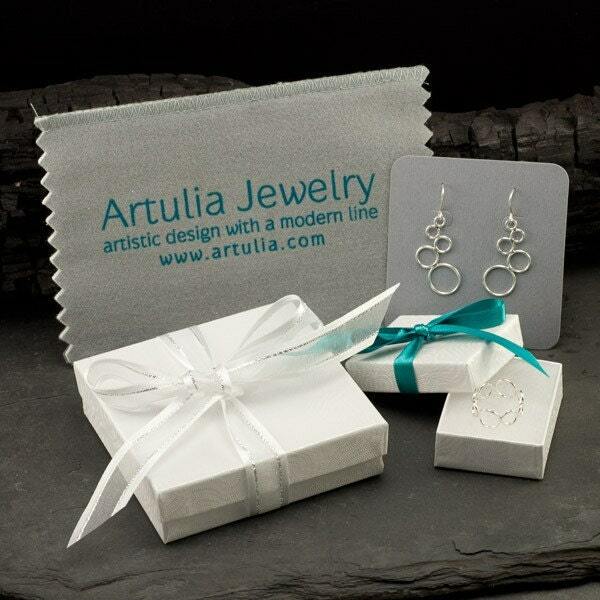 I have purchased two rings already and looking forward to expanding my collection of Artulia Jewelry! Pictures are true to product. Highly recommended! Beautiful ring and size is perfect.